With the FDA approval now in hand and mediports installed, we are working towards starting intravenous infusions of Hydroxy Propel Beta Cyclodextrin on Addi and Cassi. We are currently capturing a full set of baseline testing on the twins (blood, urine and stool samples) for our doctors and researchers to study. Intravenous cyclodextrin treatments have never been attempted before to remove cholesterol from the cells and organs of living people, we have had to set up an entirely new testing and safety protocol from scratch. This has taken months of work. Since Cyclodextrin is not a drug, is non-toxic and is already going into the human body through a drug called Sporanox, we were able to make the argument with the FDA to allow us to treat Addi and Cassi under "compassionate use." 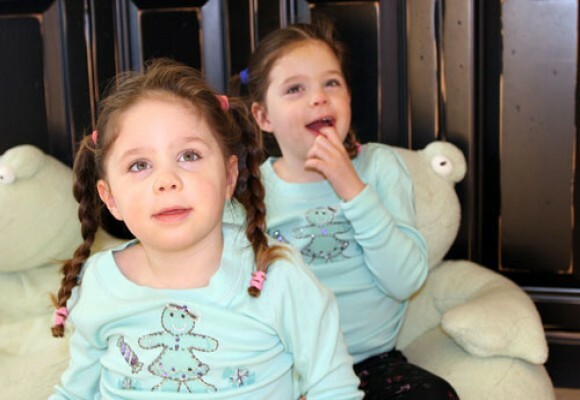 Essentially, we have created our own personal clinical trial with our identical twins in order to try this sugar compound to see if it can extend or save their lives. Addi and Cassi recently underwent neuropsychological exams by Dr. Seth Ubody at Children’s Hospital Oakland to capture neurological baselines. We will also be doing spleen and liver measurements and a whole host of other tests prior to starting the cyclodextrin infusions. Once we have all the baselines in place, the infusions will begin. Baseline samples can then be compared to samples collected following cyclodextrin treatment to see if there are any measurable changes. The current plan is to admit Addi and Cassi to Renown Regional Medical Center where the girls will undergo 24 hour continuous infusions of cyclodextrin for 4 straight days (Note: If anyone reading this blog has extra children’s videos they don’t need, please send them to us!) After receiving 4 days of continuous infusions of cyclodextrin, the girls will become out patients and receive infusions 1x per week for 8 hours. We plan to carve out Friday’s for these infusions and we’ll be spending a lot of time at the hospital. Our goal is to eventually administer cyclodextrin infusions at home with the help of a home health nurse.Right now, we have no idea what dose of cyclodextrin might have a therapeutic effect or if it will move cholesterol out of Addi and Cassi cells and bodies like it does in Niemann Pick Type C mice. We must start at a low level for safety purposes and then begin to scale up cyclodextrin doses. After 3 months, we plan to go back to the FDA and ask them to allow us to give Addi and Cassi slightly different doses of cyclodextrin so we can accelerate finding the ideal therapeutic dose. Since the girls are identical twins, they can work together to find the perfect dose.